“Like” us on facebook = 5 extra entries! Tell your friends about us = 5 extra entries!! Tweet about our giveaway = 5 extra entries!!! Wouldn’t you like a little extra spending money on their next Disney vacation? To get your entry started just log in below [with facebook or your email] and follow the easy instructions. Good luck everyone! We’ll announce the winner on April 30, 2012. 93 thoughts on "Win a $100 Disney Gift Card!" 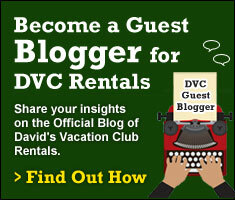 I’d like to see info on using DVC points & cash for a Disney cruise. How does it exactly work? Any additional fees doing a cruise this way? Any additional fees to make changes to DCL reservation? Etc. Thanks! I’d love to see a comparison of the villas so it would be easier to choose when booking. Pros and Cons. I would like to see more tips for traveling with an infant. I would love to coverage of the Disney tours such as Keys to the Kingdom and the like. I would love to see some posts with comparisons of all the different DVC resorts onsite. Rooms, pools, size etc…. There is so many options it can be overwhelming! Would love to see advice for travel to Disney with toddlers as well as monthly updates of progress of available resorts. It would be great if there was a very informal, non-committal listing of last-minute and short-term stay opportunities available. I know it’d be incredibly difficult to give firm offers, but it would be great to know if there might be something available that didn’t follow the guidelines mentioned in the FAQ (eg 7 months out for XYZ Resort). I just found out I have a short 3 night stay coming up in WDW in June, but don’t want to waste your time if there’s no chance, however I’ve heard that sometimes you are able to accommodate on short notice. I tried for a longer stay a couple of months ago, and no suitable resort was available but now that my stay has shortened and dates changed, might there be? I would love room comparisons- such as comparing the different studio rooms (layout/size), or a comparison/ review of the different DVC resort pool areas. I would love tips about things to pack or things you might need when staying in a DVC room. I would love pictures of views people had from their rooms. I would love information about what you can purchase in the shops at the DVC properties (such as snacks, sunscreen etc?). Apparently I want a lot of info 😉 Can’t wait to see more posts! I’d like to see room layouts at the different DVC resorts and maybe an article about smartest use of points? I would love information on how to take senior citizens to DisneyWorld and give them a first class experience. I’m bringing my 80 year old parents in May. Definitely want to see dining reviews and travel tips! I would really like information on traveling with an infant and with a toddler…. we went at Christmas and found it difficult with our 9 month old… I knew there had to be better things we could do but I didn’t know what they were… it was my first time to WDW and it made is less enjoyable. I would love to know more about how non DVC members can find ways to take advantage of DVC perks – whether by purchase, or just by being in the know. Thanks! Like seeing the updates. It gives me my Disney fix until I can get there again. Love the park updates, also like to DVC tips. I would like to see articles about “off the beaten path” Disney, ways to save money at Disney, and more information about the DVC rooms for nonmembers. I would love to see an availability calendar or an option to have your travel planners work with us if all our our original requested travel dates are full. Love your site! Would love see price estimates (instead of just points) to easily see true cost. I would love you to do a week in disney with the different dining plans and show us the real differnce in price between taking one and not taking one. Including things like is there any need for 3 course meals at certain restaurants or is the cheapest plan an option for a week providing there is plenty of choice and healthy options at the takaway spots. I’d love to see more pics of the DVC properties, and possibly maps of the properties to make it easier to decide where to stay! Check back later this week and at least one of your wishes may be granted! Would love to see information on the different “celebrations” that happen through the year at the parks (i.e. Mickey’s Not-So-Scary Halloween Party, Mickey’s Very Merry Christmas, etc.). Thinking about renting for our next trip…the info here will definately help!!! Glad you made it over then! Here’s a link to our easy rental process. Let us know if you have any questions. I would like to see more DVC info for those of us renting points. Don’t think my first comment posted, but I’d love to see tips on the best times/lowest prices to visit Disneyland and Aulani 🙂 Thanks for the giveaway! I love seeing pictures of all the resorts and staying updated on what’s going on at the parks! I would like to see how families going together and meeting at Disney can get more bang for the buck on hotel rooms or blocking groups of rooms together. Also ideas for big groups as I am always open to new ideas. I would love to see more about navigating the DVC system for those of us who are not members. I have to search all over trying to figure out if it’s better to rent a DVC or stay on property in a hotel. Pros/Cons too. thanks for all you do!! Love info about the little experiences missed by the newer disney traveler…we are seasoned veterans and love to find new adventures and things we have missed on every trip previous. Always looking for comments and updates on Disney Dining venues and menus. Information on Kingdom Keeper events would also be useful. Love to see more ideas for things to do for those that have visited WDW many times. I think more reviews of the DVC resorts would be great, too! I would love to see reviews of restaurants and resorts. Anything to help us planners plan our magical trips! More on the DVC resorts. I also like the crowd calendar idea. Also a good FAQ on how the point rental process works. And one on what to look for when buying on the resale market and how to negotiate. I would like to read read more more trip reports or reviews of the DVC resorts. I am interested in hearing more about restaurants, special events & the various parks at WDW. I’d love see more explanations of how points rentals work, as well as profiles of each DVC location. A focus on each DVC resort, then other resorts as time goes on. Info for larger sized families, 6 people instead of the usual 4! I would love to see articles about traveling with young children. I would really like a chance to get a feel for each and every DVC. Pictures, videos, menus for the restaurants, etc. Being able to truly get a feel for a resort is our first priorty before deciding where to stay. Tips and other “insider” info would be wonderful, too. Great new blog! Like others have said its always great to find out inside information on specials and deals you can find in the parks and around Disney. Would also love to hear DVC members perspectives on the benefits of the different properties, which rooms they love that type of stuff. Thank you for all the great work you do! I’d like to see in depth reviews of each DVC resort with lots of pictures. More on the things you don’t always associate with Disney – those little touches maybe? And something on the Dapper Dans! I think information geared toward families with older children to help keep the magic alive for teens. For example, my teenager daughter really loves to shop when we are at the resorts, so shopping news would be great. I’d love to see more budget ways to enjoy the parks! I would like to see a crowd calendar of sorts for DVC resorts. If I am planning to rent points, I would like to be able to see which resorts are most available at certain times of the year. More photos of resorts, more info on special events, celebrating special occasions at disney! What type of restaurants are at the different resorts. New blog is a great idea! Would like to know what type of room requests can be made for each resort ( e.g. facing the woods, higher floor, etc.). First, I wish I did not have to create a new account just to comment. that’s frustrating. I like seeing your blogs & would love to see special tips about the parks – like insider tips or frequent visitor tips. I’d like to know about any items relevant specifically to Canadians. I’d also love to know news about any resort offers related to suite-type rooms (i.e. with kitchens). Thanks! Would love to see stuff on Disney Cruises! You can never have enough tips! Dining reviews and touring tips! Special event calendars and details. Thanks, love the blog. Love the Blog! I would like to see reviews and more photos of the different room types at the DVC properties. I would love to see posts about the many activities that the DVC resorts offer guests! I would love to see more picture of the dvc rooms, differences between the different resorts! It’s all about discounts and food! Any posts on those topics would be great. I would love to hear about events that you don’t normally hear about on the Disney website. I would like to see tips of what not to miss when staying at certain Disney Resorts. I would like to see park itineraries for special circumstances – like for a short visit or when going with a toddler. Thanks for all the great info from your website. I know your blog will be just as helpful! I’d also love to see more ways to save money on a Disney vacation! More money saving tips for vising Disney. Free family friendly activities. I would love to see more articles about how to plan a Disney trip on a budget and also about trip reports about all of the DVC Resorts. 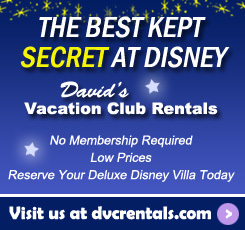 Can’t wait ’til I can book a trip staying at one of the DVC Resorts! Jambo! I would like to see more giveaways! I would love to see tips for non-DVC members about how to navigate the system. You have great instructions on the website, but maybe more specific to holidays/special events. Love the new blog! Can’t wait for more! Congrats on new blog I would love to see updates on all the special events held at Disney! Looking forward to reviews of Disney events, dVC news and happenings at Disney.